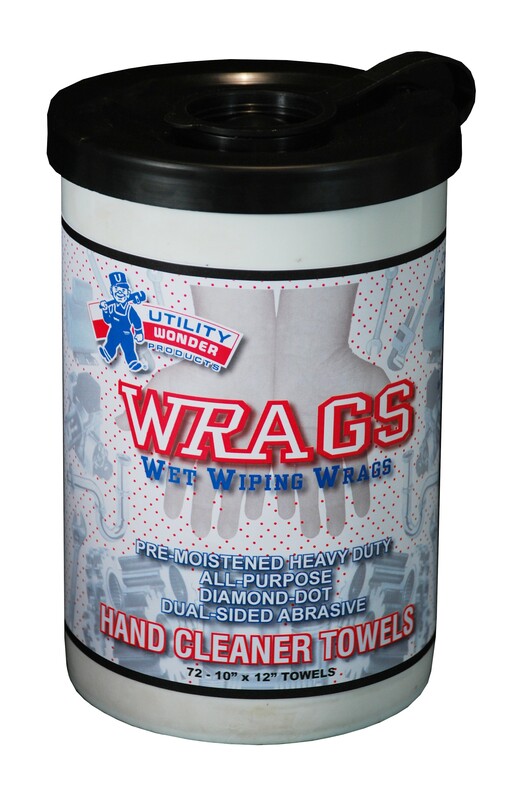 Pre-moistened, multi-purpose hand towels are specially formulated to loosen, dissolve and absorb dirt, grease, oil, paints, sealants, plastic pipe cements, adhesives, caulk and tar. These dual-sided wipes contain skin-protecting aloe, lanolin and moisturizers, leaving hands both clean and fresh. 12" x 10" towels are packed in an easy-to-dispense 72 count container.